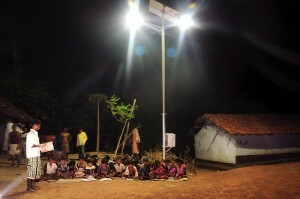 Let’s Say Hi to The Solar Sahelis of India! Today I am going to talk about a cause very close to my heart. Women empowerment and awareness of solar energy power generation. When I talk about Women empowerment, I mean to focus on the women in the rural parts of India. Though they look tender, women I believe are stronger than men emotionally. One such organization who thought the same is Frontier Markets, founded in 2011 with a vision of easing the life of people in rural India. Today, Frontier Markets has built a network of 1000 women entrepreneurs or Solar Sahelis who are extensively trained about solar technology and marketing and sell solar lights to rural households. Each Saheli is responsible for one rural village covering an average of 100 households. Altogether, Frontier Markets has impacted 1.2 million lives and reached out to 175,000 villages in just seven years’ time. Frontier Markets identifies and trains women from villages and with their help raise awareness about solar energy. This mission is not only improving the lives of the woman folk in Rajasthan but is also helping create awareness about solar energy. In the absence of proper electricity, most of the villages come to a standstill as soon as the sun goes down or rely heavily upon the kerosene lanterns which is not only injurious to their health but also release toxic fumes in the air. The Solar Saheli is thus a win-win case for the villagers. The women take pride in becoming an entrepreneur and end up earning close to Rs. 2000 each month. Children and adults can continue to study or work even during night time without impairing their health. Though solar lights are premium priced, the USP of these solar lights for the villagers is that they do not require any batteries and are even sturdier than the normal emergency lights. Solar lights thus save the people battery cost and the cost of running to the market and fetching them. I would like to congratulate the founder CEO of Frontier Markets, Ms. Ajaita Shah on starting such a big movement.